Kylan Mann is a transfer from the University of Hawaii-Hilo(D-2) where he was a red-shirt 2017-18. He graduated from St. Paul High School in Los Angeles in 2017…His team advanced to the Southern Section CIF championship game…Scored 19 points in the title game…Two-time Santa Fe League champs…First Team all-league…Also First Team All-CIF-SS Division 3A pick…Averaged 19 points a game. Kylan is a strong 2/3 guard/wing who is known for his deadly three point shooting. He is the player that the other team calls out “Shooter” when he touches the ball. Mann is a qualifier with excellent grades and currently is pursuing a major in Kinesiology. 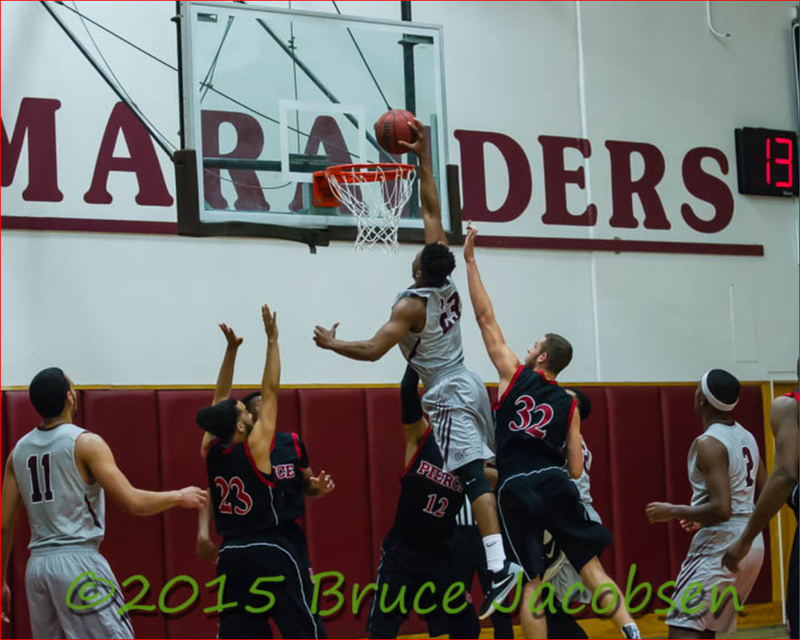 Kylan gives AVC a tough match up with his strength, size along with this long range shooting ability. 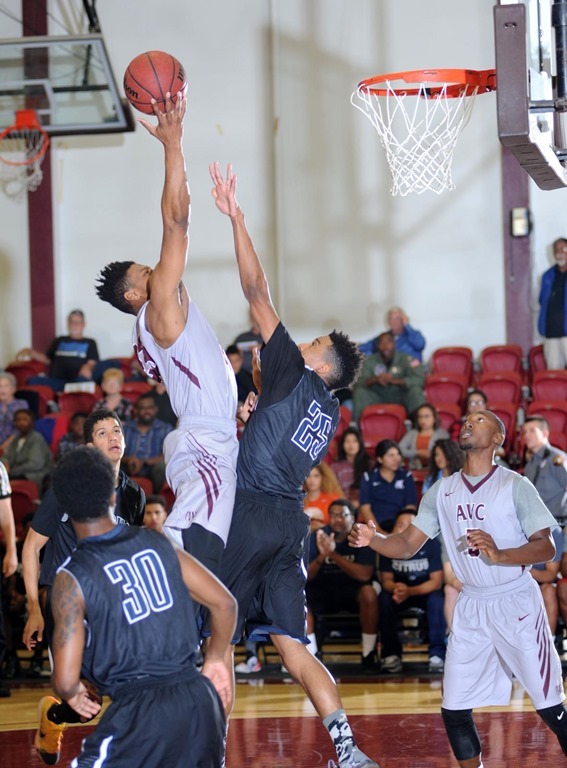 It was a homecoming of sorts when NorCal freshman point guard Surako Follings, 6’0″, 170, arrived at Antelope Valley College. The Fremont High School freshman met with NoCal players Osinachi “Osi”Nwackukwau, 6’4″, 205 from San Leandro HS and Miles Wise, 6’3″, 185, from Liberty HS, currently sophomores at AVC. Also, he has been following AVC graduate and now D-1 Bowling Green State University graduate, Ismail Ali, point guard who is currently is working to sign a professional contract. Ish was also is a graduate of San Leandro HS. Surako was a athletic star at Fremont High School playing both quarterback for football(early high school years) and point guard for the basketball team. Follings brings the toughness and leadership from the football side of athletics and looks to have great floor vision and shooting ability on the basketball court. I spoke with Surako and he says he has decided to dedicate his athletics to the basketball court now that he has reached the college level. He had several D-2 basketball scholarship offers, is an academic qualifier and averaged 18 points per game and five+ assists in his senior year in High School. 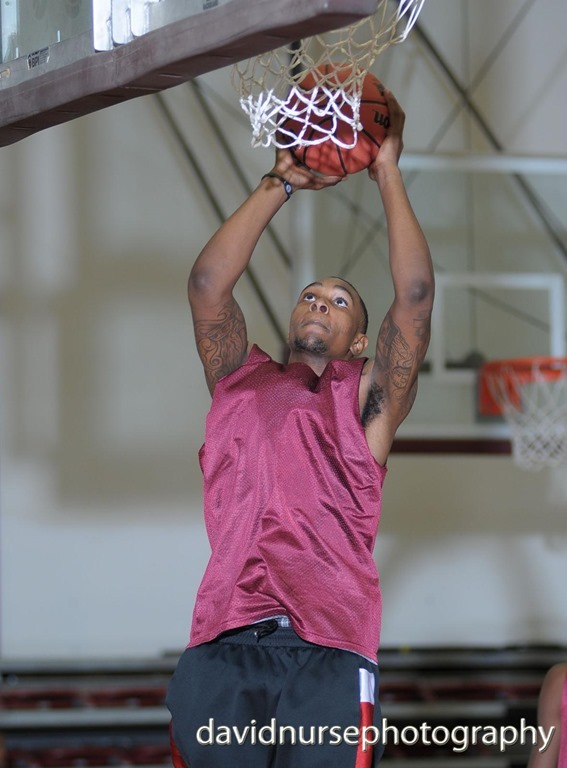 He believes that he has a good shot of being offered a D-1 scholarship down the road now that he has joined the Antelope Valley College’s program and is dedicating himself to that goal. The following highlight video gives you a view of Surako Follings’ skill set. Welcome to AVC basketball. RIVERSIDE, Calif. — California Baptist University has accepted an invitation to join the Western Athletic Conference, paving the way for a multi-year transition to NCAA Division I status, CBU and WAC officials announced today. "This represents a great step forward for California Baptist University and Lancer Athletics," said Dr. Ronald L. Ellis, CBU president. "We are honored to join the Western Athletic Conference and to advance CBU to NCAA Division I, the pinnacle of intercollegiate athletics. I am confident that moving to D-I as a member of the WAC will further elevate CBU’s reputation for excellence in athletics as well as academics." "On behalf of my fellow WAC Presidents and Chancellors, I am delighted to welcome California Baptist University as a Western Athletic Conference member institution effective July 1, 2018," Mitchell said. Mitchell said Ellis made "a compelling case for membership in the WAC" last November at a meeting with the full WAC Board in Denver. The previous month, Mitchell visited CBU along with Utah Valley President Matthew Holland, Grand Canyon President Brian Mueller, and WAC Commissioner Jeff Hurd. "We were impressed by the university’s academic programs, its commitment to transitioning its athletics program to NCAA Division I and its strong desire to join the WAC," Mitchell said. "Commitment to quality academics and athletics programs along with the extraordinary vision provided by President Ellis are at the top of the list. There is no doubt that CBU will make a smooth transition to Division I and to the WAC," Hurd said. "This is another step our University is taking to help us achieve a high level of excellence," added CBU Director of Athletics. "We are excited to go on this journey – remembering the success of the past but building towards an exciting future. 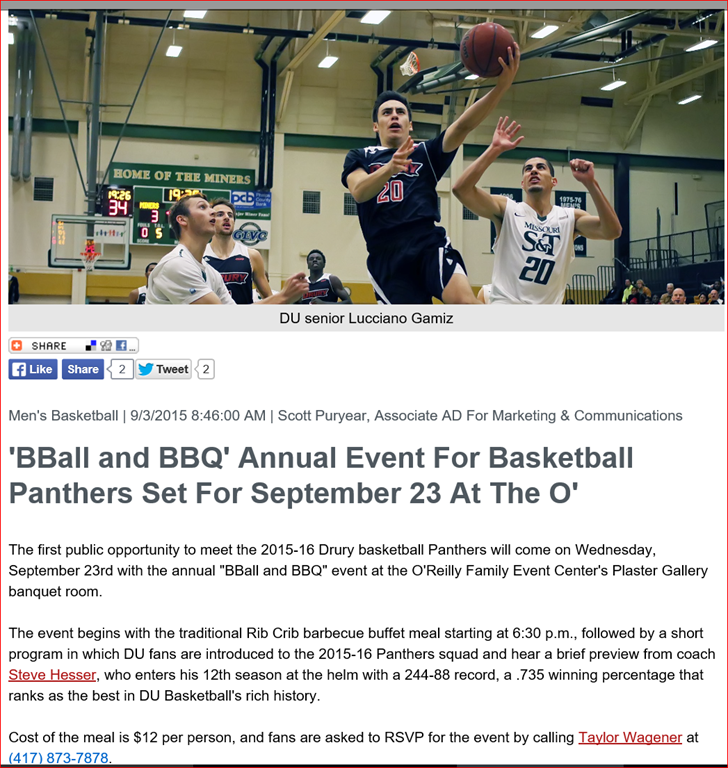 It’s another opportunity to honor Christ through excellence in athletics." Vadal Faniel, 6’7”, 209 forward, signed a professional contract with the Cazorla Spanish team. Vadal graduated from AVC 2013, received a full-ride scholarship to Texas A&M International, D-2 and now is playing professional basketball in Europe. 2016 has been one of the most active years in the past ten where three AVC/University graduates have joined the rapidly growing professional ranks. Congratulations Faniel, your Dad is looking down on you and cheering with his big happy voice. Quartz Hill HS/Antelope Valley College and now Drury University graduate Lucciano Gamiz just returned from Mexico City. He was completing his mandatory semester of international studies in the Drury’s exceptional business program. 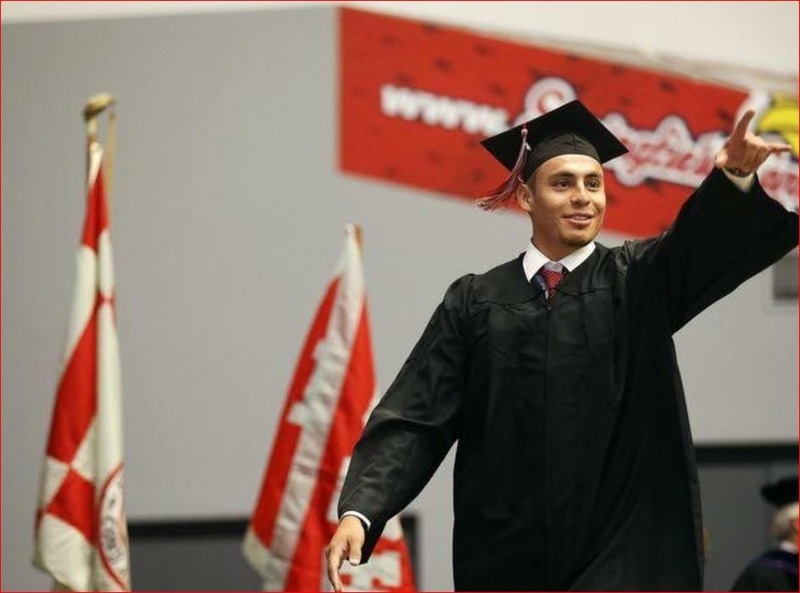 Lucciano was the first AVC graduate who chose a full ride scholarship at a D-2 over a D-1 scholarship offer because of the quality of the academic program he was craving. After an outstanding two years of basketball and academics at Drury, the employers are standing in line to pick up Gamiz’s skill sets. Advanced degree? Business position or even a bit of time off? Congratulations to Luciano, his family, his coaching and academic teams on his accomplishments so far…and they have just begun.